You’re probably wondering why we want to help tradespeople build better businesses? We like to see all of our clients prosper. At ATB Chartered Accountants we are passionate, understanding and have over 50 years combined experience in helping tradespeople grow their businesses. In addition to this, technology helps tradespeople to become more efficient. We can implement accounting and software solutions which will help you to reduce your paperwork, quote faster, manage your business, free up your time, help your business to grow and to become more profitable. We want to help you to build your business by focusing on the tasks you need to do rather than the administrative obligations that come with running a business. We recommend Xero, GeoOp and Receipt Bank for tradespeople. Xero is simple accounting software. It is easy to use and will reduce your administration work load. GeoOp is a job management system with real time scheduling, job status, GPS tracking, maps and directions. 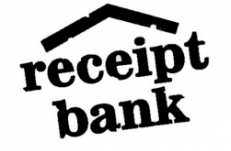 Receipt Bank is an app that allows you to take photos of receipts and have them added into Xero (without manual entry). Each business’ technology and business requirements are unique. Contact us today to find out how you can build a better business.